According to the World Health Organization (WHO), cholera (an infectious disease which causes acute watery diarrhea) remains a global threat to public health with an annual average of 82,000 deaths. In Nigeria, the cholera burden has been an average of 10,000 cases annually with over 70% of the cases coming from Bauchi, Yobe, and Zamfara states. Strengthening disease surveillance for early detection and quick response through innovative use of technology and data. Improving coordination for technical support, resource mobilization, and partnership. What does an innovative model for cholera prevention and control look like? 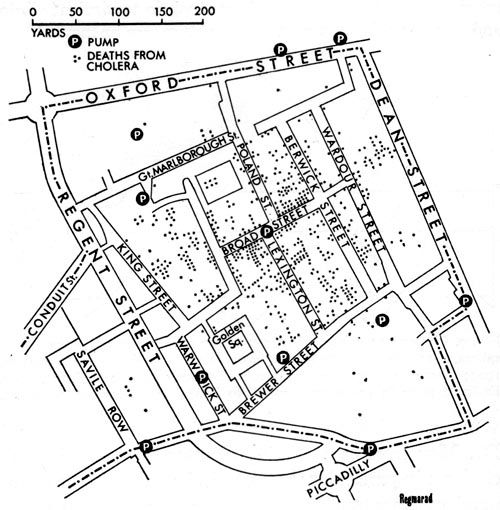 In 1854, John Snow mapped out the cholera deaths during an outbreak and observed that they all occurred within short distances and were clustered around the Broad Street pump. He went ahead to carry out statistical tests to illustrate the connection between the source of water and the cholera cases. In synergistic partnership, NCDC and eHealth Africa (eHA) used advanced geographic information systems (GIS) technologies to build on John Snow’s ideas of mapping. eHA uses data-driven solutions and tools to improve community health, with specific expertise in the design, development, validation, and deployment of predictive models for diseases like cholera. GIS allow experts to explore different aspects of a geographical point. The identification of patterns can drive insights and enable health stakeholders to make informed decisions about how to best plan public health interventions. Due to computational and technological advancement, GIS has been used in public health for epidemiology, resource planning, and surveillance among others. NCDC and eHA were able to utilize GIS capabilities to enhance the data management within the NCDC National Incident Coordination Centre (ICC). The ICC serves as a the emergency operations center for coordinating disease outbreaks at the national level. 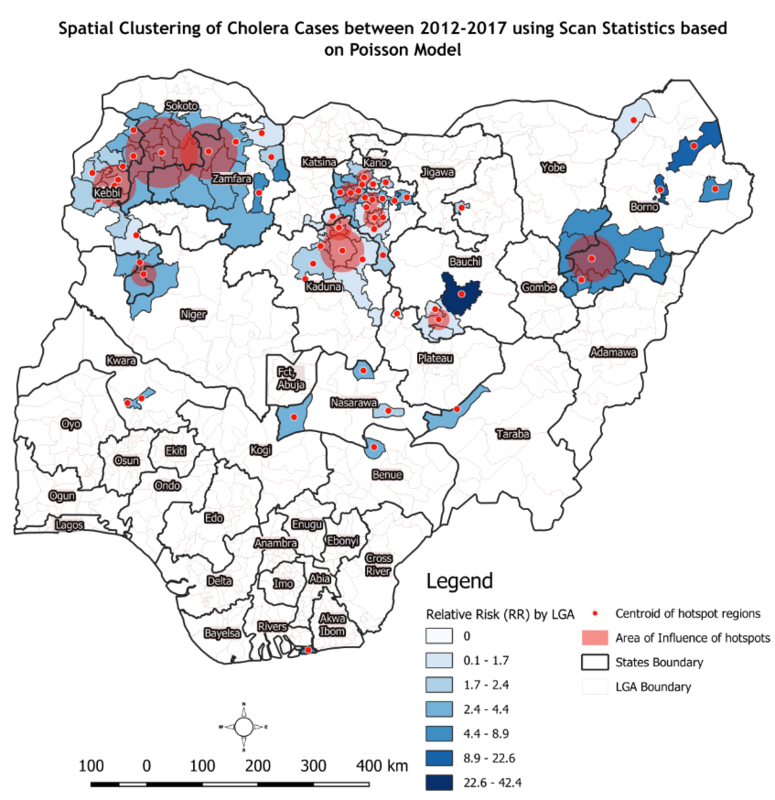 eHA’s GIS and Data Analytics team works with the NCDC to map cholera hotspots (areas where cholera persists) across Nigeria’s Local Government Areas (LGAs). At the start of the outbreak, hotspot analysis helps determine where to vaccinate and what quantity of vaccines are required per LGA. This exercise ensures the effectiveness of the oral cholera vaccine immunization campaigns which are rolled out to stop the spread of disease. 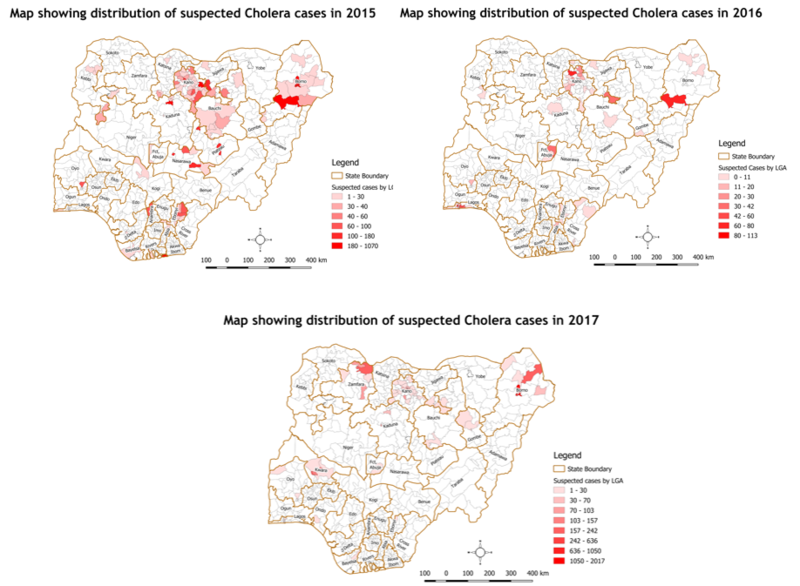 In planning, data from 2012-17 displays the spread of cholera outbreaks and also shows the relative risks of the various LGAs which have reported an outbreak during the five year period. We layered the 2018 outbreak data with the historical hotspot analysis to identify specific trends and possible overlaps. 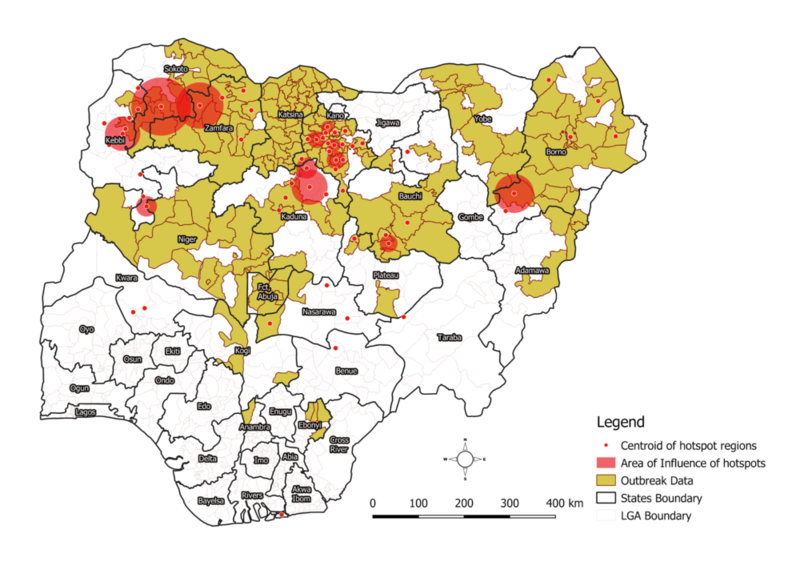 The result of the hotspot analysis identified 83 LGAs as hotspots, with 87% reporting at least one case with over 70% of the burden from Bauchi, Kano, and Zamfara states. The LGAs identified as hotspots have enabled the government to make informed decisions about where to request vaccines to ensure that the most vulnerable areas are supported. We continue to collaborate with the NCDC to strengthen cholera surveillance in Nigeria. The partnership ensures that data management and analysis expertise contribute to faster response and informed decision making before, during and after outbreaks.